No sense rehashing what I wrote previously about the Sig Sauer P226 Enhanced Elite 40S&W, But lets just say I was caught in the moment, faced with the difficult decision of purchasing a hard to find Glock 22 Gen 4 at an awesome price. What would you do? 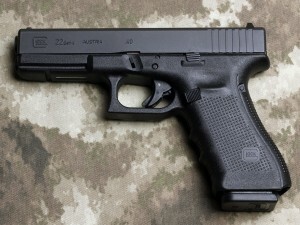 In all honesty I was never much of a Glock fan as the Glock design never seemed to fit my hand well but now with the Generation 4 having the option to utilize different backstraps I began to get curious as to whether or not a glock and I can meld. 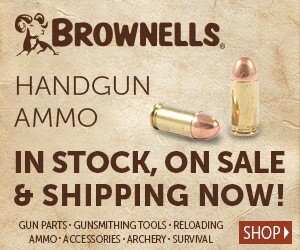 Additionally in recent weeks I was considering purchasing the ISSC .22lr Glock knockoff. So after a little internal debate I decided a better path would be the Glock 22 with the addition of a .22 conversion kit, as they say the rest is history. If you are looking for a handgun with the ultimate in self defense and reliability, look no further than this Glock® 22 Generation 4 Pistol. With your safety in mind, this Glock® 22 Generation 4 Pistol has the “Safe Action” trigger system that uses a partially tensioned firing pin lock and a drop safety to prevent unintentional firing and the simple finger on trigger, safety off, finger off the trigger, safety on psychology. Designed to last, this Glock® 22 Generation 4 Pistol has all parts coated in tenifer to give your firearm the additional hardness and longevity you want in a handgun. Safe, dependable and reliable, this Glock® 22 Generation 4 Pistol is a favorite among law enforcement agencies and is sure to be your favorite too.